A traditional or Roth IRA is one of the best tools to save for retirement. The reason is simple – the money inside the account grows tax free! There are two types of IRAs: Roth and Traditional. Roth: Money goes in after-tax, and you can withdraw in retirement tax free. Traditional: Money goes in pre-tax, and you have to pay income tax on your withdrawals in retirement. We break down our favorite Traditional and Roth IRA accounts, as well as provide a list of the best places to invest at. Be sure to check out our full guide of the Best Online Stock Brokers for more. We evaluate Traditional and Roth IRA account options based on their commissions and fees, investment options, ease of use, and more. Some of these companies are better for some but not others due to certain features that may be more valuable. M1 Finance is a relative new-comer to this list, but they have continued to over-deliver since they started. We love them because they are a commission-free investment platform. This platform is designed for long term investors – you setup a pie of investments (basically your asset allocation), and M1 Finance will automatically purchase the securities in your pie whenever you invest. They have great tools that can also help you keep your portfolio balanced. If you don’t know the best allocation, they have models that you can choose from as well. 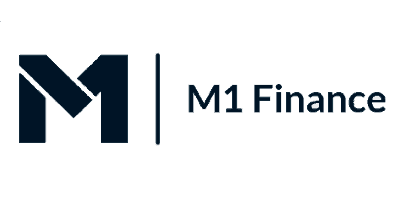 Read our full M1 Finance Review here. M1 Finance is commission free! Long term investors that maintain an asset allocation of stocks and ETFs. M1 isn’t designed for anyone looking to trade stocks or options, and they don’t have access to all mutual funds. Get a $25 bonus when you open and fund a new IRA by January 31. Vanguard is the “big dog” when it comes to low cost index fund investing. They started it! If you’re looking for a firm that focuses on low cost investing, you get that with Vanguard. You’re able to buy any of Vanguard’s funds commission free if you invest on their platform. They also offer a wide variety of ETFs and other funds to choose from as well. Some of their lowest expense ratio funds do require certain minimums to be me though. Read our full Vanguard review here. Commission free for Vanguard funds. Long term investors who want to invest in low cost mutual funds, and have a preference for Vanguard funds. Anyone who is looking to trade in their account. It’s also more expensive to invest in non-Vanguard products for the most part. Fidelity is another traditional broker that has really emerged as a top place to invest over the last few years. What many people don’t realize is that Fidelity has a ton of low cost – even free – options to invest. You can open an IRA at Fidelity for no minimum, and there’s no fees to maintain an account. Inside your IRA they offer a variety of commission-free investments, and they even have several 0% expense ratio mutual funds. That’s truly free investing! Investors who want low costs, but also want to be able to invest in a wide variety of investment products. Anyone who wants more guided assistance, as Fidelity’s fees for that are higher than other alternatives. Charles Schwab is another investing leader that many people don’t always think about as a great choice to invest. However, they have a lot of low expense ratio mutual funds that have done extremely well. Furthermore, they also offer a variety of commission free funds that investors can invest in. Finally, they have a great bank account that ties into their brokerage tools that allows for easy cash management. Read our full Charles Schwab review here. Anyone that wants really easy integration with banking and low cost investments. Anyone that isn’t going to be taking advantage of their mutual funds and banking options. Ally is a well known online bank that also is a great place to invest. They have a really easy to use interface that seamlessly connects with all your banking and investment products. They also have incentives – the more you trade, the lower your commission costs will be. That’s what makes Ally a great choice for traders who want to invest in a Roth or Traditional IRA. Their commissions start at $4.95 per trade, but can drop to $3.95 per trade with 30 trades and $100,000 in assets. Anyone who wants to trade stocks and options inside their IRA. Long term buy and hold investors will likely find better value elsewhere. Acorns is an app that helps you save and invest. What it does is it takes your credit card transactions, rounds them up, and then invests that difference. You can do this with a Roth or Traditional IRA at Acorns now. This is the perfect tool for the individual who can’t save by themselves and needs help. Acorns handles not only the transaction part, but they’ll take care of your investments too. That makes it easy. Read our full Acorns review here. Acorns charges $2 per month to have an IRA with them. If you can’t save and invest on your own, this is a great tool. Investors who want to invest on their own or want to have access to various investment options. E*Trade is another major broker that I think a lot of young adults don’t think about when it comes to opening an IRA. However, E*Trade has a ton of tools and options that make it a great choice for your IRA. For example, they have a variety of commission free ETFs that you can invest in for free! And they don’t charge any account maintenance fees to have an IRA. Check out our full E*Trade review here. E*Trade has a variety of commission free ETFs, but does charge $6.95 for other trades. If you need a really robust broker for your IRA. Investors who can do well with less can enjoy more commission free offerings. Wealthfront is a robo-advisor that basically allows you to set and forget your investing. It’s a great choice for an IRA if you simply want to deposit money into an account and have it be invested. Wealthfront gets some information about you, and creates a portfolio based on what you told it. It then seeks to invest for you over the long run. This is a great solution for those who don’t want to get into the details of their portfolio. Check out our Wealthfront review here. Wealthfront charges 0.25% of assets over $10,000. Those that want a set and forget approach to investing. Anyone who wants to DIY their portfolio or wants to control their investments. You likely associate SoFi with student loans, but they also have a robo-advisor called SoFi Wealth Management. The amazing thing about this product is the cost – free! SoFi doesn’t charge any management fees to use their wealth management service. Similar to other robo-advisors, SoFi Wealth creates a portfolio based on your information, and handles all the actual investing for you. You just deposit into the account and watch it grow. Check out our full SoFi Wealth review here. Anyone that want’s to set and forget their portfolio and simply deposit money. Betterment is another robo-advisor that offers a robust toolkit along with your portfolio that makes it a compelling choice to open an IRA at. Betterment also asks you a series of questions and builds a portfolio for you. You can then set and forget your IRA, and just make deposits every year. The cool thing about Betterment is that you can also gain access to a CFP to answer your money questions. This is a great add-on service! Check out our full Betterment review here. Betterment charges 0.15% to 0.40% of the assets under management. Anyone looking to have an automated portfolio that’s just taken care of. It’s always important to understand the difference between a traditional and a Roth IRA. We explained a bit at the top, but they each have their own nuances that makes it important to understand which might be best for you. The traditional IRA uses pre-tax money. This means when you contribute, you get to take a tax deduction when you file your taxes. A Roth IRA uses after-tax money, meaning that you’ve already paid taxes on this. As a result, when you pull the money out in retirement, it’s tax free. It’s also important to note that Required Minimum Distributions (RMDs) are required on Traditional IRAs, but not Roth IRAs. The IRS is going to get their tax dollars some way! It’s also important to remember that you can only contribute in an IRA up to the IRS contribution limits. These limits change every year. Check out the most up to date IRA Contribution Limits here. That article also talks about what income level the deduction for contributing to a traditional phases out. Opening and funding an IRA is one of the best financial choices you can make. But there’s a lot of options and information about where to start and invest. Hopefully this guide clarified things a bit. The post The Best Traditional And Roth IRA Accounts Of 2019 appeared first on mimblewimble price blog.